Tucked into a leather wing chair in his office--a converted horse stable that still smells strongly of manure--Andrew Well, in khaki shorts, a rumpled cotton button-down and worn suede sandals, a pair of Rhodesian Ridgebacks at his feet, looks more like a friendly Deadhead than a millionaire medical practitioner. He is, in fact, a fusion of his former angry young mushroom-munching rebel and an urbane, self-possessed CEO. He lives on an 80-acre ranch in the Arizona desert yet dresses more like a groundskeeper than the master of the house. His advice has been sought by the Saudi royal family, and his last three hooks have topped The New York Times best-seller list, yet he appears unfazed by both his reputation as a world-renowned pioneer in integrative medicine and the wealth and fame it's brought him. During the three decades he's spent championing his own brand of health care, Well has gone from drug-culture shaman to alternative-health guru, earning pots of money and the sometimes-grudging respect of his peers along the way. And if we've been too hardheaded to buy into Well's prudent approach to healing until just lately, he's forgiven us. All that matters now, he says, is that integrative medicine, which combines both alternative and conventional approaches to maximize the body's natural healing powers, is catching on in a big way. The rising cost of traditional health care is high on the list of reasons that alternative therapies, from acupuncture to herbal remedies, are on the cusp of mainstream acceptance. Americans may be forking over some $27 billion a year for alternative treatments. According to the journal Medical Care, an estimated 28.9 percent of adult Americans used at least one alternative therapy in 1999. And the health care community is taking notice. The Journal of the American Medical Association reports that most medical schools now offer courses in alternative medicine and increasing numbers of managed care organizations provide benefits for such therapies. Integrative medicine is comforting to those of us reluctant to entirely abandon prescription reeds in favor of dietary supplements and meditation. And its emphasis on a true partnership between patient and practitioner, in which lifestyle issues such as diet, stress and relationships are considered, is also proving popular to a nation of people increasingly discontent with the five-minute physician consultation. "In integrative medicine, we might give a patient with rheumatoid arthritis a whole package of things to do: a change in diet, a dietary supplement, mind-body technique, an herb, an exercise regimen," Well says. "Conventional medicine would just give her a prescription for steroids." Singer Naomi Judd sought out Well after she was diagnosed with potentially fatal hepatitis C in 1991. Now healthy, Judd says Well walks the talk. He's "the real deal," and she knows because she looked in his fridge. "I eat well; I grow a lot of my own food," says Weil. "I do some kind of physical activity every day, whether it's bicycling or walking or swimming. I do breathing exercises and some sitting meditation. I take a vitamin regimen of my own devising--no iron, lots of antioxidants," confides Weil. "I won't prescribe treatments I haven't tried." Those treatments include guided imagery, acupuncture, herb therapy and even the science of Western medicine; Weil's is a Cuisinart approach to health and healing. "I look at everything out there and I say, 'Weil, this part is good, and this part is stupid.' If an idea or practice makes sense to me, I will recommend it--wherever it comes from." People are drawn to Weil's simple, unthreatening principles. He espouses moderate, sometimes age-old preventative measures. 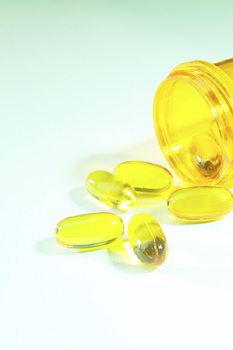 Our grandmothers used some of Weil's favorite remedies--like cod-liver oil. He was touting the benefits of fish oils and omega-3 fatty acids long before the rest of us. But Weil has his detractors, who point to his oft-told tales of recovery as proof of his quackery--like the story of the twenty-something fellow with prostatitis who Weil cured with a prescription of drinking water and a daily, self-prostatic massage. Or the teenager dying from a terminal blood disease who was cured by hypnosis. Or the young woman with an inflamed abdominal wall who Weil cured with a regimen of applied heat, ten glasses of water a day and meditation. Weil's roll-your-own approach to health care has "led the charge to reform medicine by returning therapies that aren't pharmacentical or surgical to the mainstream," according to Lewis Mehl-Madrona, a colleague of Weil's and author of Coyote Healing: Miracles in Native Medicine. "His strength in fighting for a place for integrative medicine at the table makes him the King Arthur of the movement." "Medicine should begin with prevention and self-healing," Weil says between sips of mineral water. "Then use the least invasive, least expensive and most natural methods possible. But our doctors are trained to use drastic measures far removed from nature, and not to work with the body's healing mechanisms. They tend to start with heavy interventions, which is one of the reasons for the economic crisis in health care." As more doctors adopt Weil's approach to health care, he's morphed into a cottage industry. Equal parts spiritualist and physician, Weil is a doctor fur the Oprah generation; an herb-friendly, media-savvy scholar with a long list of self-help best sellers, a popular product line that offers healing wisdom via audiocassettes, CDs, videos and a monthly newsletter. He has a celebrity-doctor status second only to that of Dr. Phil. He's a frequent guest on Larry King Live, and has hosted his own PBS specials on health and healing. Visitors to Weil's Web site, which registers more than 2.5 million hits each month, are greeted by his warm basso and offered a heap of health tips, an advice column and the opportunity to shop for health products. Weil, the ultimate superstar physician, has even had a mushroom named in his honor. Thirty-five years ago, Andrew Weil was just another Harvard Medical School graduate with a degree in botany. The only child of Philadelphia milliners, Weil spent his teenage years as a perpetual exchange student, circling the globe from Thailand to Greece and discovering that Western thinking was "just one way to approach reality." Fascinated by the psychedelic properties of certain plants, Weil conducted Harvard's first controlled experiments on humans with marijuana, then moved his cannabis studies to the National Institute of Mental Health, where he lasted one frustrating year. "They decided I was politically undesirable, and the views I had on marijuana were unacceptable," he recalls. "It was a completely unworkable relationship." Weil then lived on a South Dakota Indian reservation, where he studied herbal medicine and ritual healing with a Lakota medicine man named Leonard Crow Dog. In his 1972 book The Natural Mind, Weil criticized American drug policy and revealed his fondness for states of altered consciousness induced by psychedelic drugs, hypnosis and meditation. The work earned him a cult following. As founder and director of the Program in Integrative Medicine at the University of Arizona's Health Sciences Center, Weil has set out to reform--rather than topple, as his critics often suggest--the medical establishment he once shunned. He insists that his philosophy, which in the '70s advocated something called "stoned thinking" (perception based on intuition), hasn't changed much in the past several decades; what has changed is his reception by colleagues and a public leery of HMOs and an impersonal medical industry. "I've always said that the body is capable of healing itself," says Weil, "and that the majority of diseases that kill and disable people are diseases of lifestyle that could be minimized if people made better choices. The culture has finally caught up with me." "People are finally listening to Andy because he's preaching common sense," says Linda Gain, a Weil fan who swears the good doctor's prescription for broccoli changed her life. "I was diagnosed with a digestive disorder a decade ago. I was sick, I couldn't eat, and no treatment was helping. I read what Andy wrote about the antioxidants in broccoli, so I started drinking filtered water and eating broccoli, and everything settled down." For starters, he says, we should forget about being healthy all the time. "It's unrealistic to imagine that you can never be sick. Health is cyclical: It breaks down; it reforms. Being sick is part of being alive."